Sedbergh trailer gets a touchup! 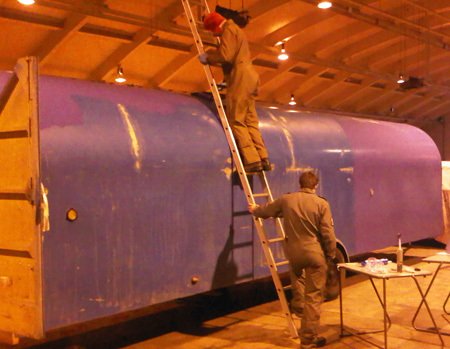 With the airfield fogged out for most of the 621’s Christmas Course and wet weather entertainment quickly running out, the Sedbergh trailer was brought round to continue some repairs and receive a lick of paint. 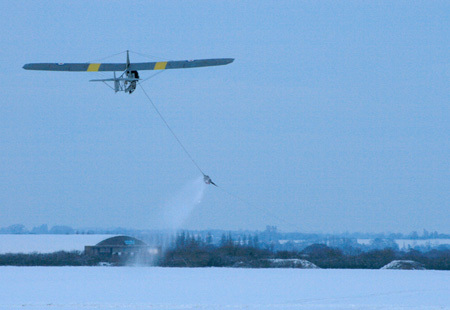 With the VGS operations limited to a single winch, a chance was grabbed to fly the Grasshopper in the snow. With Tony, Adam, Andy and Phil braving the chilly -2 temperature. December and a (little) bit of snow! 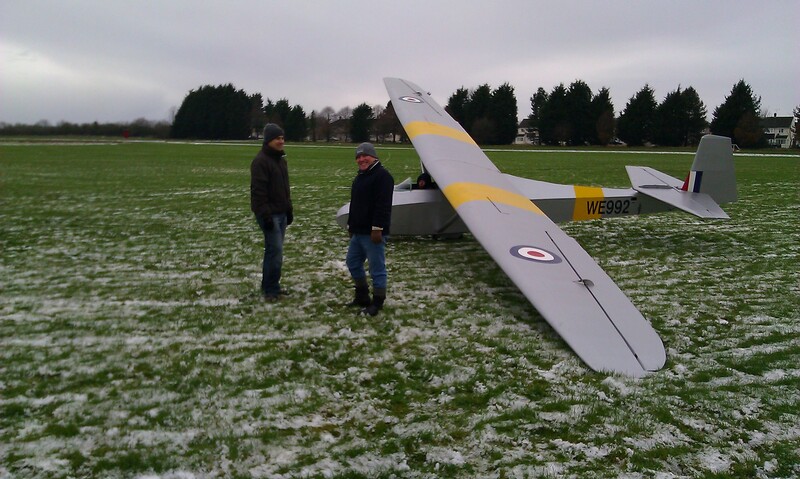 Not quite the next Friday but thanks to being unable to fly cadets due to a major power and water cut to the hangar we were able to fly the Saturday. 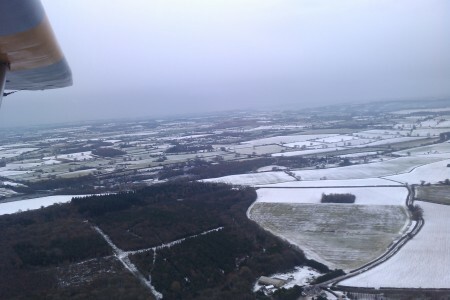 Extremely low temperatures left a little snow on the airfield with the runways and taxiways thick with ice ( bought back memories of a certain skating episode!). After a struggle getting the winch to the airfield the Sedbergh and Prefect were towed to the launch point. 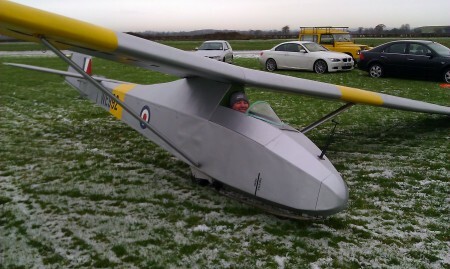 Everybody flew including Terry who ‘re-converted’ to the Prefect after some 40 years! Unfortunately rain then intervened so off to the pub it was!